Dyma-Burn Xtreme Review (UPDATED 2019): Is It Safe? 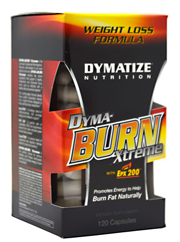 Dyma-Burn Xtreme Review: Is It Safe? Presenting a formula not just for fat loss but also energy comes Dyma-Burn Xtreme, with a marketing campaign centered around frequent gym users. 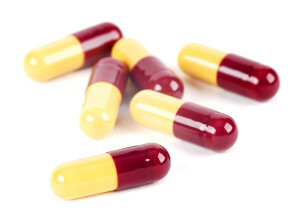 These capsules inside are said to benefit the body by pushing a threshold unlike other supplements. It’s recommended due to its high caffeine content to be slowly introduced as the manufacturers state there may be complications. How do results come about and just how powerful is this supplement? With a vast line of supplements promoted to gym rats Dymatize Nutrition LLC has had years in the supplement industry. The FDA issued letters of correction for their mislabeling of products by not mentioning common allergens found within. Extracts found within like Ephedrina are said to increase energy therefore giving more power in the gym and appetite reduction to keep calories at bay. Also fats are either burned off thru a thermogenic or heated body, or they are used as energy during workouts. All this energy is said to come without the added crash from other energy supplements. Customers have complained that the above isn’t true. Many have mentioned they felt mass jitteriness and that it can make it hard to perform in the gym. Currently some customers do report slight changes but there’s uncertainty whether or not their own exercise was the culprit. There’s plenty of sources of caffeine and in fact the recommended dosage of 4 capsules daily is 660 mg of caffeine a day. Nearly 7 cups of coffee a day. This can be avoided by looking at all natural weight loss supplements not littered with caffeine. Vitamin B5(Pantothenic Acid)- A vitamin that can metabolize macronutrients. Thought to increase physical performance though it has been proven to be ineffective. Chromium Picolinate: Believed to aid in weight loss and exercise. A number of studies have shown no differences. Salvia Sclarea and Green Tea Extract(mix of sclareolides, catechins, polyphenols and Epigallocatechin Gallates (EGCG): This proprietary blend features a number of extracts for weight management that remain unproven. EGCG has shown signs of being toxic at high levels. Yerba Mate Extract: A tea known for its high caffeine content. Used as a stimulant and metabolism booster. Guarana Extract: Plant used for its elevated ratio of caffeine. Considered safe in small doses. Caffeine Anhydrous: Caffeine that has been dehydrated for easier consumption. Added to provide a quick boost to the nervous system. Raspberry Ketones: This distinct extract comes from some fruits. Although used to treat obesity it has shown no results in humans. Capsinoids(from Capsacum Annum Extract): Often found in chili peppers and used for reducing appetite. L- Carnitine L- Tartrate: Created by the body to regulate energy. Trials have shown it is unnecessary to add unless dealing with rare problems. L-Tyrosine: An amino acid naturally sourced from foods. Does have a positive effect managing high stress situations. Salix Alba: Sourced from a tree and intended to treat pain. Zingiber Officinale: Also known as ginger.It has a long history of use to treat indigestion and nausea. Fucus Vesiculosus: Extracted from a seaweed that is rich in minerals. It has been used to treat swelling. Panax Ginseng: Available in different varietals and used as cure all but no evidence has shown an improvement in exercise. Bioperine(piper nigrum fruit extract): Taken from black pepper and now patented. It can improve intake of nutrients. Potential Side Effects: Headaches, anxiety, difficulty concentrating, decrease of nutrient absorption, diarrhea, stomach issues, constipation, gas and frequent bathroom trips. Purchase can be made directly from the manufacturer and there is wide distribution. There’s a plethora of uncertainty and potential risk associated from the jump. Taking what is considered an average dose will fill you with various caffeine and stimulant sources such as Ginseng, Yerba Mate, Guarana, Green tea and others. It’s important to read the label and recognize that there is a huge warning to people to watch out for symptoms related to the stimulants. Knowing that this is possible makes it hard to consider this a long term solution to fat loss. Factor in the demand to do exercise.You are forced to work out at a rate which most people do not have time for. To have claims that this product works isn’t enough. Just how much is the supplement worth if it is uncertain how much exercise plays a role. Another noteworthy thing is money, a 15 day supply will run you $29.99. There’s the talk of cycling this product and not using it long term. This can mean that you have to be careful of potential risks when supplementing with this product. Which too much uncertainty and a high price tag it’s no wonder many customers have complained of feeling ripped off. There’s plenty of reasons not to try this product and concerns for potential side effects ranks high. To spend so much money on an unproven item that has a warning label on the bottle would be a foolish decision. Instead of focusing a tremendous amount of time exercising and using the surplus of stimulation, one should find alternatives that are easier to process. Plenty of negative reasons are deterrents in trying out this product. You now have access to real all natural supplements meant to fit your lifestyle. Instead of working non stop at a gym without guaranteed results, you should find the easier solution. Take care of your body and look at all natural weight loss products that better suit your busy schedule. Whats better than Dyma-Burn Xtreme?